An Earth-shaking piece of news hit the drone community on Thursday night. A National Transportation Safety Board judge dismissed a fine that the Federal Aviation Administration had levied against the pilot of a commercial drone. The FAA has no legal authority over small aircraft, the judge said. Whoa, now. The FAA is the agency that's writing the rule book on domestic drones. They're also the ones that effectively banned the use of commercial drones in U.S. airspace until those rules are written. That's supposed to be in 2015, but many experts agree that the FAA won't actually get its act together before 2020 or so. So, if a judge says that the FAA lacks the authority to ban commercial drones, that must mean that commercial drones are finally legal... Right? Well, yes and no. Despite what you may read on the internet, this NTSB ruling doesn't necessarily mean commercial drones are now legal. It does complicate things, though. Raphael Pirker is the drone pilot who got hit with a $10,000 fine for flying his commercial drone—the first and only drone fine the FAA has issued—and his lawyer convincingly argued to the NTSB judge that the FAA's 2007 policy notice forbidding the use of commercial drones was not legally binding, despite the fact that the FAA's been using it to enforce the ban. The administrative law judge agreed on Thursday. Even the drone industry is skeptical. 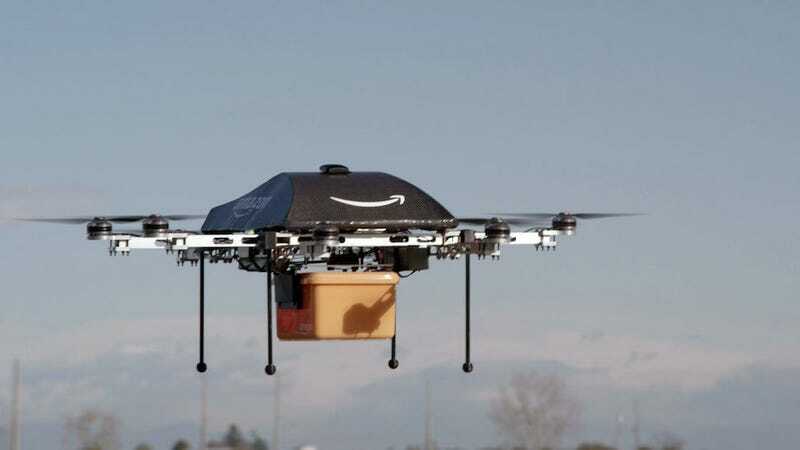 Michael Toscano, president & CEO of the Association for Unmanned Vehicle Systems International, said in a statement, "We are reviewing the decision very carefully and we have also been in touch with the FAA to discuss its implications and the agency's response." He added, "Our paramount concern is safety. We must ensure the commercial use of UAS takes place in a safe and responsible manner, whenever commercial use occurs. The decision also underscores the immediate need for a regulatory framework for small UAS." So what happens now? Who knows. The imminent appeal will take time to work its way through the court system or the NTSB's bureaucracy. In the meantime, you can go ahead and assume that some commercial drone operators will read this week's ruling as a green light to do whatever they want with their small aircraft. That's not necessarily a bad thing. Commercial drones can do a lot of good! Especially without the pesky government standing in the way.